2017 is a reallyyyy, reaaaaallyyyy, reaaaaallyyyyyyy big year for Canon! 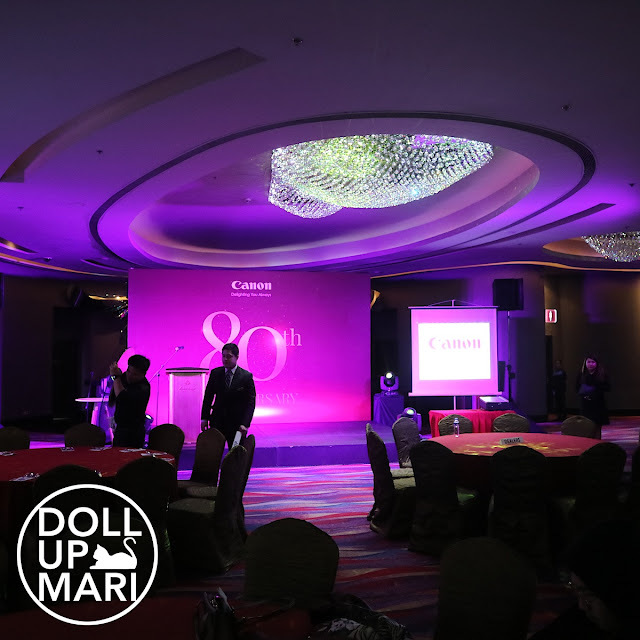 This year marks 20 years in the Philippine market. And this year marks the 30th anniversary since the launch of their EOS lines. I'm already so sentimental and all because I'm an EOS girl through and through. Weeeelll the first Canon camera I got to access was an IXUS, then a G10, then an S95, but the EOS series is where I really learned photography, the series I shared the journey with. 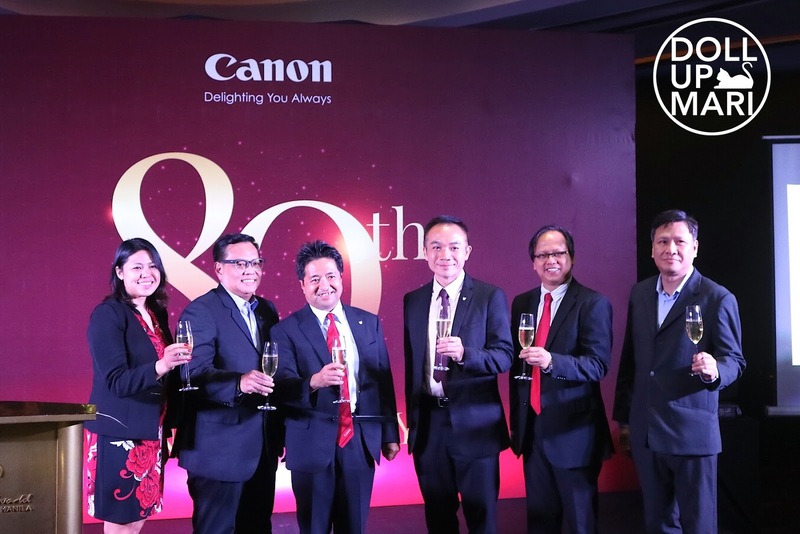 Aaand of course, Canon is celebrating 80 years!!! 80 years!!! As I've shared in many other posts, we are a Canon family. All the cameras my mom consciously bought were Canon cameras. My mom was a major Canon addict. She shares many fond memories of her Canon cameras as she competed in many competitions using Canon. The addiction simply just ran in the family, and I can never imagine myself using any brand that's not Canon. And here I am taking a photo of an M3 using an M3 hahaha. Their M series is just getting bigger and grander with more and more releases. I'm not 100000% sold on it yet as I'm an SLR fan through and through, but I guess there are plenty of people who believe that mirrorless is the future that such is the expansion. So many new lenses! New kits! Of course, there had to be a birthday cake! 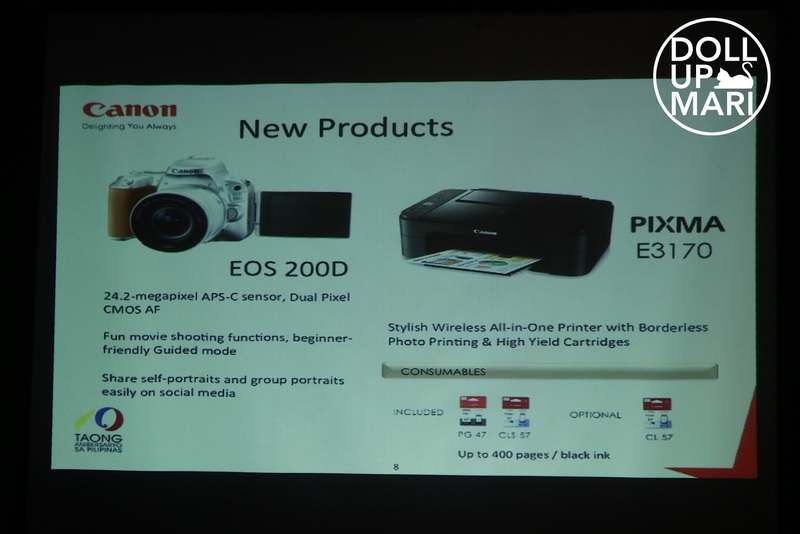 From 80 years ago, Canon is now a world leader in cameras, printers, copiers, and has completed the "purchase cycle" for each product line. What this means is that for cameras, they have their full on range of lenses, batteries, and accessories. For their printers and copiers, they also make toner, ink and paper. Of course, for cameras, most brands have all the accessories and add ons in a complete layout, but for copier brands, this is not always the case. Of course, since it's 80 years of Delighting You Always, there had to be the most candid and genuine smiles captured by top photographers. There is much to be excited about because there are very interesting new products!!! For the consumer who wants better photos, there is now 200D! 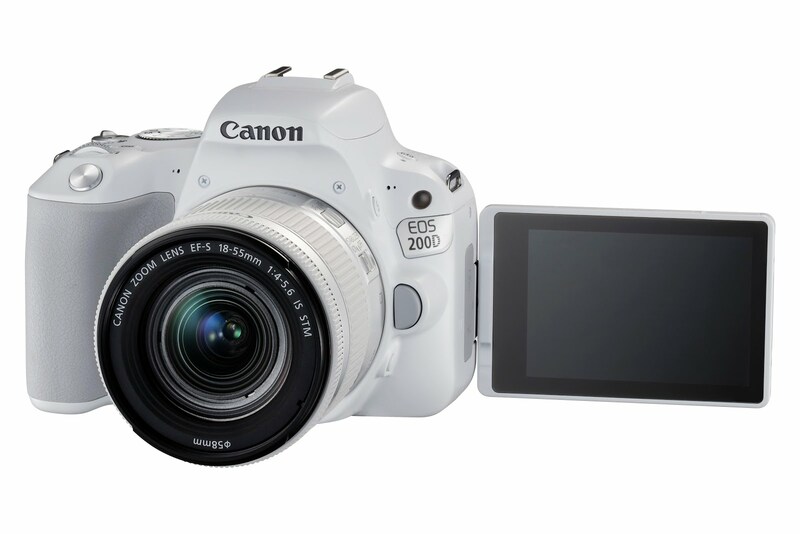 It's much faster in terms of face autofocus compared to its predecessor, the 100D. The main noticeable difference is that there is now a rotatable screen, to make selfies and groufies easier. 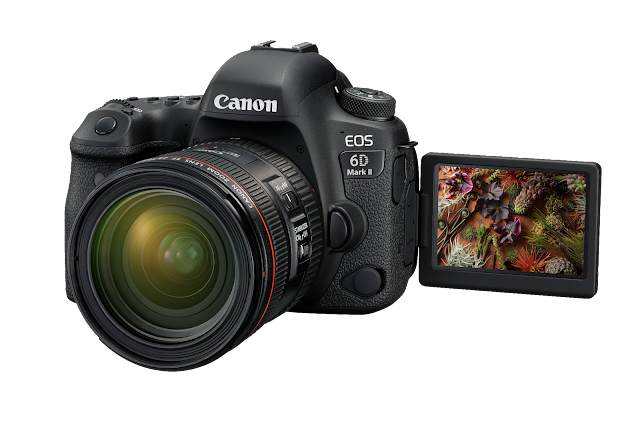 This generally is lightweight and compact for an SLR (it's like half my 70D in mass, so it's really designed for travel and the usual consumers who want great photos without the hassle). My mom has a 100D and it's been very useful on many trips because it's light yet powerful. 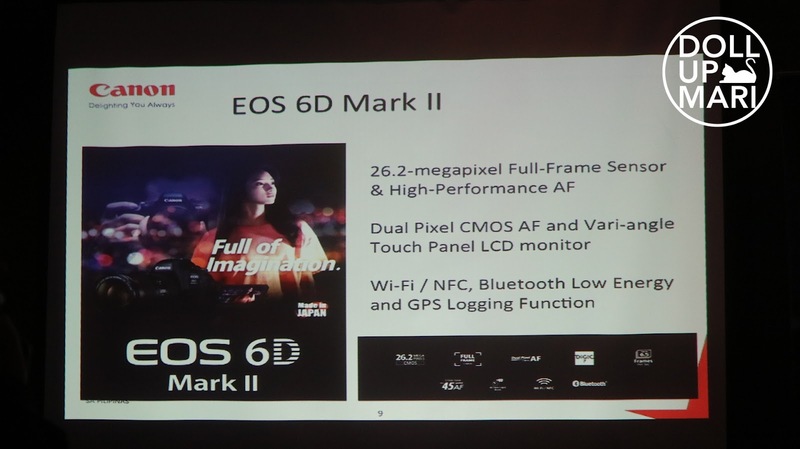 And now they reaaaally got my attention with the new EOS 6D Mark II!!! (huhu y 120,000 huhuhuuuuuu). 45 autofocus pointssss!!!!! 45!!!!!!! Hayahaaaaaaay!!!! And it's smarter than ever to be able to capture the most light even in the worst low light situations! I have yet to try the speed of the face autofocus especially for video, but the fact that it's got a rotatable screen has immediately got it on my watch list. 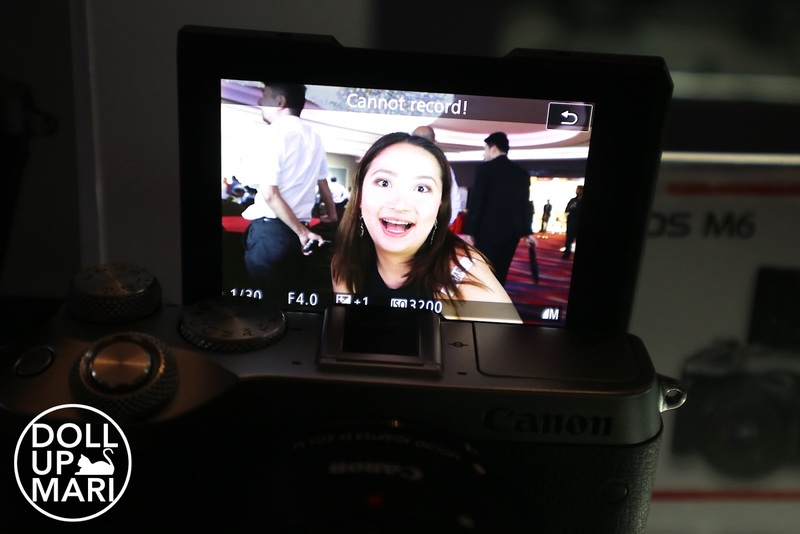 I can't buy any camera without a rotatable screen because blogging is a 1 person show. I don't have photographers or cameramen or assistants. I do everything, so when I'm doing headshots or videos, I need to see if I'm in frame or not. Using an external screen is also an option, but given that I'm the one doing everything, anything that makes the job less tedious is automatically the first choice. I love how they are rolling out rotatable screens even for their high end and professional cameras because let's be honest, plenty of professional work done these days revolves around blogging somehow. Either you're a blogger, a vlogger, or someone shooting those two kinds of people. To add, the screen also helps when shooting in situations where the subject is far down below the camera. It helps to be able to tilt it a bit to have a better view. I also like the option of being to stow it away and protect the screen. My cousin once laughed at me, thinking I was so vain and shallow to only buy cameras with rotatable screens, but I guess if they're churning it out on these high end ones, I guess I'm not the only "vain" one out there, eh? I honestly spent too much time laughing at this event because Spit Manila came over for improvised comedy. I'm still laughing till now. Y'all better hire them to see the magic for yourselves. I can't explain what they did because it'd be so dry when you're reading it. You need to experience it for yourselves. For formalities, here are the key executives of Canon doing a toast with everyone. And Canon Marketing Philippines has a new CEO this 2017. Indeed, it's a very big year for the brand. 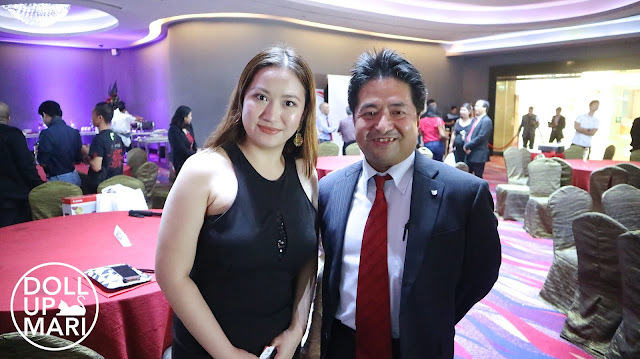 Say hello to Mr. Kazuhiro Ozawa! He's been with the company for over 30 years, replacing Mr. Lim Kok Hin who was said to have retired already. 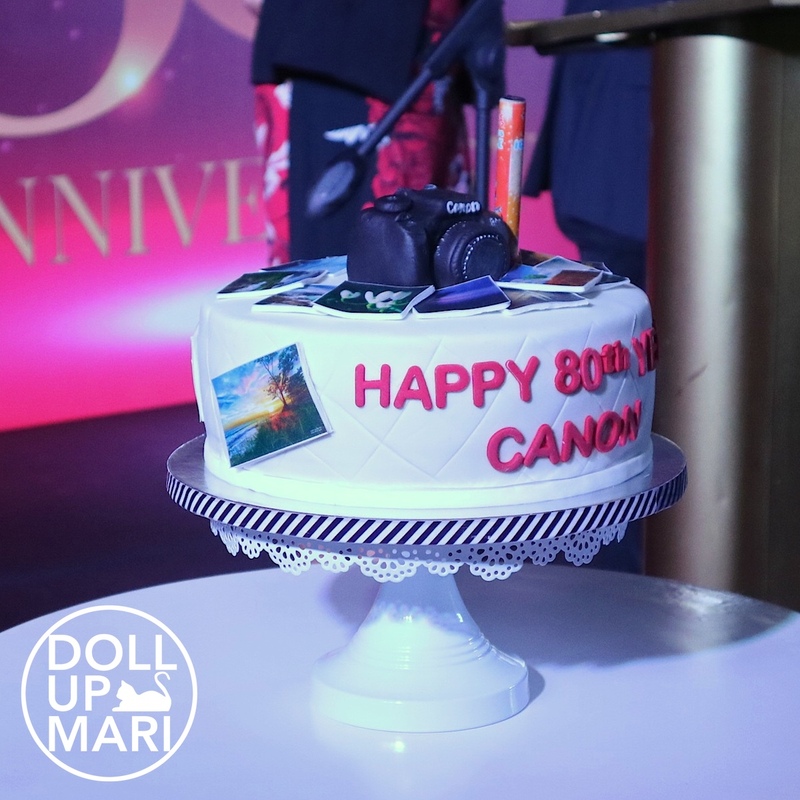 There is so much gladness in my heart that Canon is already 80 years old. I've said it before and I'll say it again, but it is with Canon that I shared my whole blogging journey with. Aside from the occasional phone photos on the blog (which constitute prolly just 1%), all the photos I have taken throughout the years were taken with Canon cameras. I started with an IXUS, then S95, then 70D. These days, I go to events with my M3 to prevent stiff neck hahaha. But even before then, I was also always using Canon. I took 100000 selfies with our G10 as it didn't have a rotatable screen yet wahaha. But speaking more seriously, it is safe to say I am not the blogger I am now without Canon. I will forever be grateful that I am sharing this special journey with Canon (and Canon alone). 1.) The comeback of the much-awaited Canon PhotoMarathon that is set to happen on October 21, 2017. A highly-anticipated photo competition that challenges participants to “create photographic masterpieces in line with assigned themes under time pressure,” this competition is posed to be bigger and better as it extends to more users of different Canon camera types ranging from entry level point-and-shoot, mirrorless category, up to the EOS line. 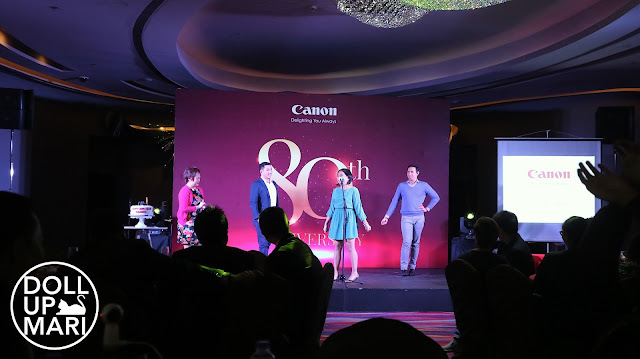 Participants can join simply by registering their Canon cameras through the Canon Imagenation Philippines website or the Canon Red App, filling out the contact information, and paying a participation fee of PHP 500. Registration runs from September 8 to October 9, 2017. 2.) Technology & Solutions Expo, Leadership & Productivity Workshops, and strengthened on-going government partnerships are already in place in line with Canon’s efforts to help different industries streamline processes and improve productivity in the workplace. The company believes that making businesses and its operations simpler could bring more delight to customers, thus, it continues to aggressively impart this idea with its partners in these ways. 3. 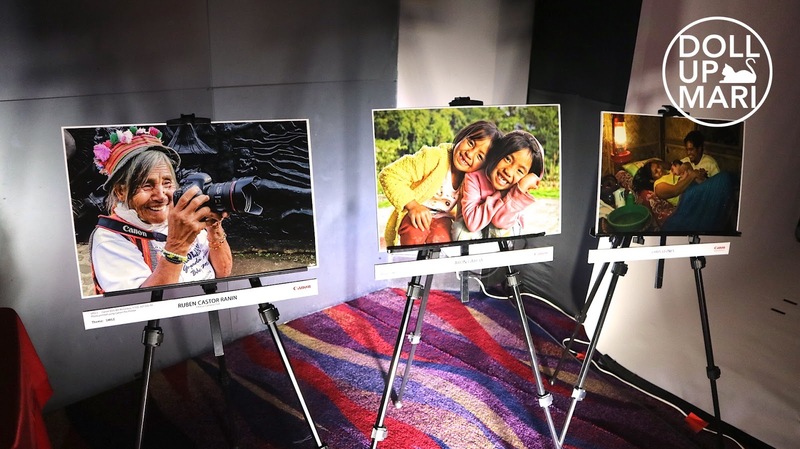 )Recognizing the emerging number of Filipino photography enthusiasts and hobbyists who aspire to hone their craft and be able to capture memorable smiles and experiences, Canon will conduct a series of Thematic Workshops for them that target specific areas of interest such as food, fashion & beauty, art, and landscape photography. Filipinos are in for insightful experiences as Canon partners with photography professionals, ambassadors and influencers, and camera clubs to impart their knowledge in these exclusive activities.